A keen runner has celebrated breaking the world record for the fastest marathon – while carrying a 25-kilo TUMBLE DRYER. 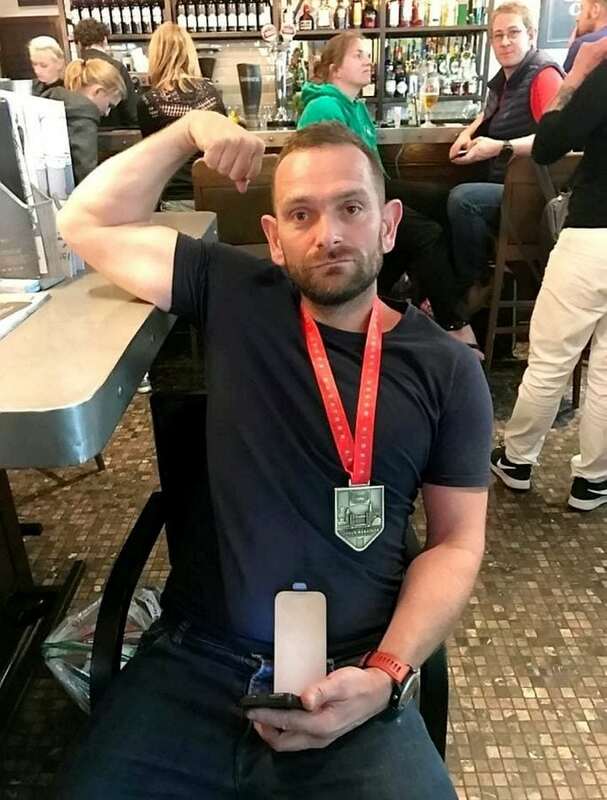 Ben Blowes, 44, ran the 26.2-mile London Marathon on Sunday, smashing the six-hour record for carrying a household appliance by just over a minute. He finished the course in 5:58:37, despite previously being unable to carry the tumble dryer further than 15 miles. Ben said: “I’m feeling surprisingly well, my back doesn’t really hurt and I have a few black toes. 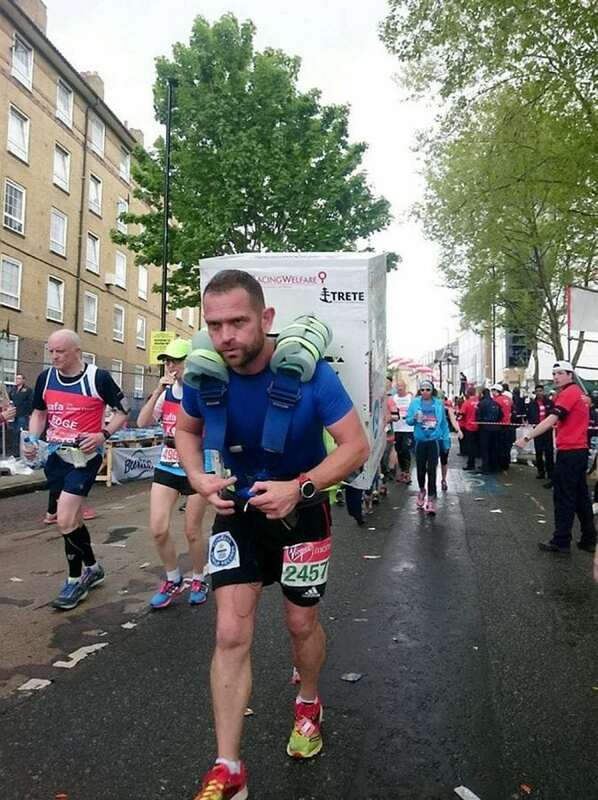 “When I finished the race and took the tumble dryer off my back I was more relieved than elated. Ben told how it was the thought of breaking the world record that motivated him to get up every morning and train. He said: “Throughout my training I knew I was going to beat the world record, it’s the reason I went to bed at 8pm and got up at 3am. “During the race I did have some doubt that I was going to make it at around the 15 mile mark and I remember thinking this is going to be really close. Ben decided to take on the mammoth challenge after appearing on the BBC’s Ultimate Hell Week which challenged contestants to take on a number of tricky tasks. “After I was on the show something clicked and I thought I want to have a go at that,” he said. “I started training from April 2016 – December with a 25kg weight on my back, and then after that I went out training with the tumble dryer. 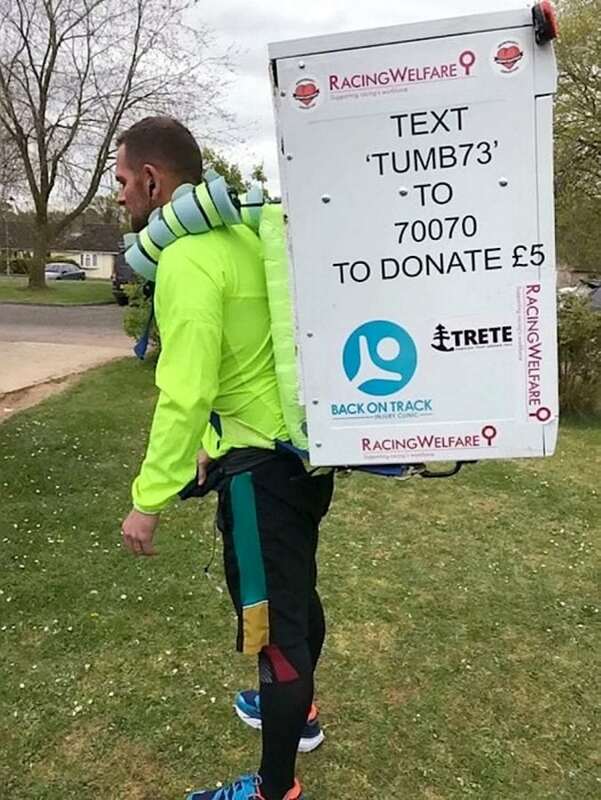 By taking part, Ben raised a whopping £6972.37 for Racing Welfare charity which supports people involved in the thoroughbred horse racing and breeding industry. He chose the charity as it is based in Newmarket Suffolk, where he grew up, because he wanted to see the money go to a local organisation.